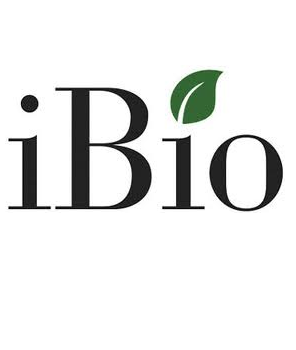 iBio released news that the company has collaborated with Bryan, Texas-based Caliber Biotherapeutics in the designation process of a proprietary fusion protein. According to company representatives, this fusion protein will be used on the platform of iBioLaunch™ as the first product protein for the treatment of cancers. These activities are in accordance with the License and Collaboration Agreement signed between two companies on February 14, 2013. As part of the agreement, iBio will receive milestone fees and the license for the protein target development. Caliber will be funding the commercialization and clinical development of protein targets. In addition, iBio will also receive a royalty after the sales of these products. The specific financial terms of the licensing agreement were not disclosed. Bryan, Texas-based biotechnology company Caliber Biotherapeutics is researching and developing treatments for the management and treatment of deadly diseases like cancer and other infections through the use of highly potent and effective protein vaccines. Through innovative research in the field of biology and technology, the company develops high quality treatments and solutions at low costs and through shorter development periods. Over the years, Caliber Biotherapeutics has developed various monoclonal-antibody treatments and recombinant proteins. In addition, the company manages the largest protein-producing facility in the U.S. in College Station, Texas. DARPA and Cancer Prevention and Research Institution of Texas (CPRIT) generously support the technological activities of Caliber’s technologies. iBio utilizes its proprietary platforms iBioModulator™ and iBioLaunch to develop proprietary products and their licenses. The use of these advanced platforms provide collaborators with optimal support for the development and processing of a variety of protein vaccines and therapeutics. iBio has collaborated with domestic and international companies to extend their contribution in the field of science. International collaborators include Brazil based Fraunhofer Center for Molecular Biotechnology and the Oswaldo Cruz Foundation (Fiocruz) with whom iBio has been working on the development of a vaccine for the prevention of yellow fever by utilizing iBio technology. iBio has developed the proprietary, transformative technology platform iBioLaunch, which utilizes transient gene expression for the generation of biologics. The company’s other proprietary platform, the iBioModulator, largely complements iBioLaunch to improve the process of preparing highly effective and potent vaccines. Moreover, the iBioModulator platform can also be utilized with any other platform to enhance the quality of vaccine production.